Table Mountain, the Atlantic Ocean, Robben Island, and inland views of the Durbanville wine farms. 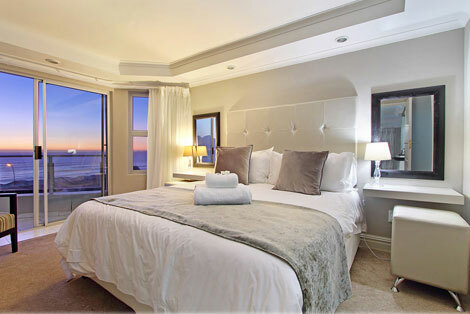 From the tranquility of your accommodation, be entertained with the kite-surfers on the waves directly in front of you before appreciating the picturesque sunsets and glittering nocturnal views from this splendid location. 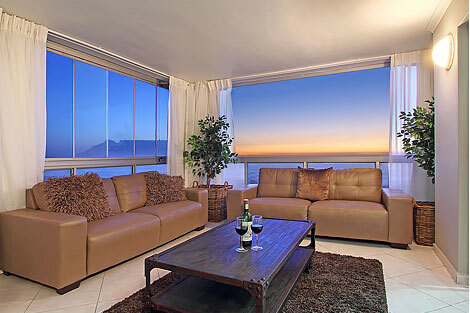 The prominent “Nautica” is across the road from the pristine beach bordered by the boardwalk and steps away from an assortment of restaurants and bars catering to all preferences and budgets. 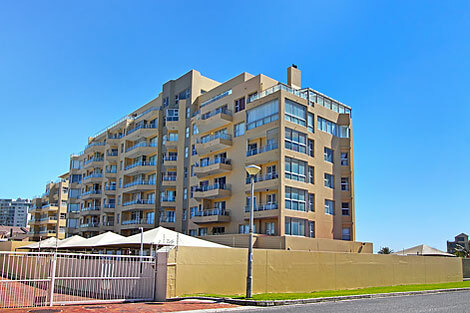 Immense shopping centres are within a short distance, two golf courses are within 10km and the Durbanville wine route is a brief drive away. 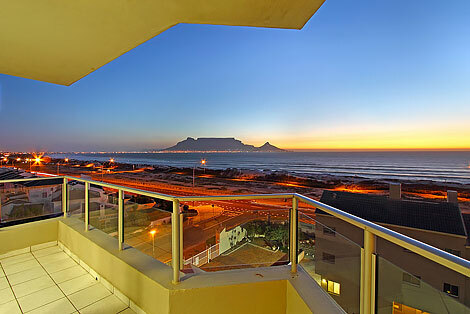 Nautica 501 is one of the most expansive self-catering apartments in Bloubergstrand. 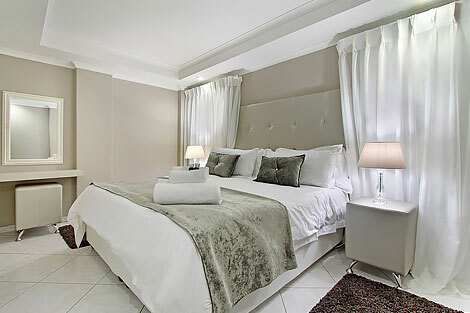 Accommodation is exceptionally spacious (175 m2), comprising of 3 double bedrooms, two featuring king-sized beds with the third containing two three-quarter (oversized single) beds, all furbished in white cotton percale linen of the highest quality. 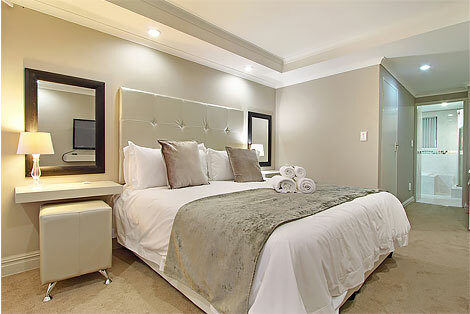 The main bedroom includes a walk-in dressing room and a safe, and furthermore is en-suite with a spa bath, shower and bidet, whilst the second bathroom features a shower. 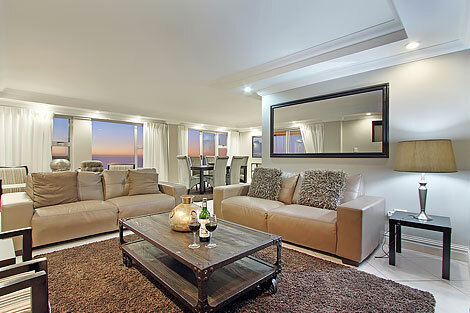 The living areas are the embodiment of luxury and style, with sophisticated finishes and décor. 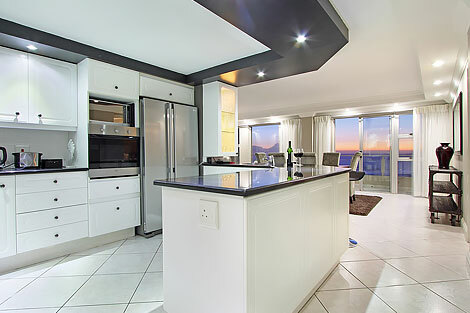 The fully equipped open-plan kitchen accesses a separate scullery including a washing machine. 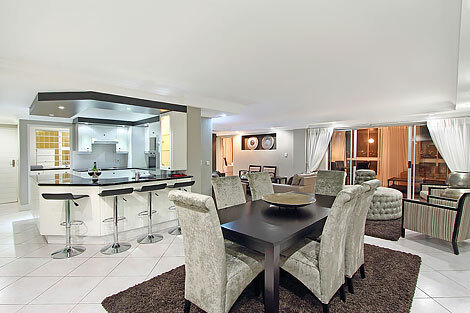 The apartment includes a dining room area and a lounge with flat screen TV. 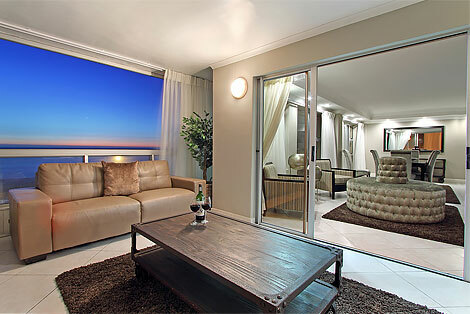 The living area and main bedroom access ocean-facing balconies, while the enclosed balcony (accessed from the living area) houses a built-in barbeque facility. 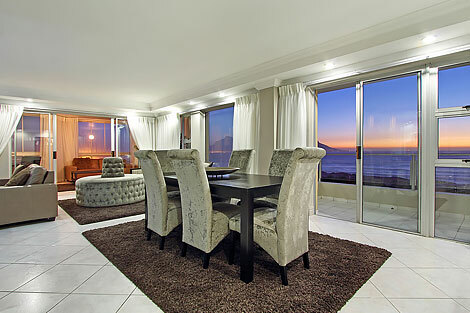 All the areas are capable of accommodating at least 6 guests comfortably. The secure complex itself features a swimming pool as well as a barbeque in the gardens. Two lock-up garages are provided, featuring remote-controlled entry and direct access to the foyer of the building and elevator. Additional parking spaces are available within and outside the complex. There is a laundromat in the complex. 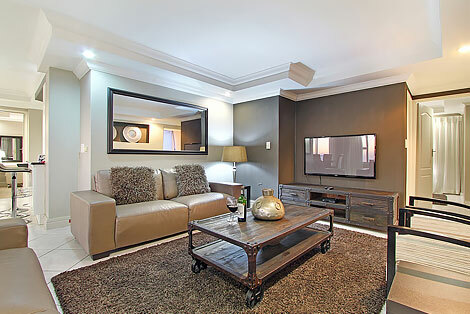 Whatever the nature of your visit, your entertainment and connectivity needs are well considered - the apartment is offered with a Premium DStv bouquet, DVD player as well as free, full high-speed Wi-Fi connectivity.